Cinderella When her father unexpectedly passes away, young Ella finds herself at the mercy of her cruel stepmother and her daughters. Never one to give up hope, Ella's fortunes begin to change after meeting a dashing stranger in the woods. Colonia A young woman's desperate search for her abducted boyfriend that draws her into the infamous Colonia Dignidad, a sect nobody ever escaped from. 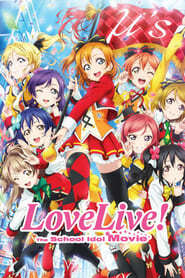 Welcome Back A pair of reformed gangsters try to find a husband for their newly discovered sister, but complications arise due to mistaken identities. A Man Called Ove Despite grumpy 59 year-old Ove being deposed as president of his condominium association, but he keeps looking over the neighbourhood with an iron fist. When pregnant Parvaneh and her family move into the terraced house opposite Ove and she accidentally back into Ove’s mailbox, it sets off a series of unexpected changes in his life. Tag Female highs school students, including Mitsuko, Keiko and Izumi, become the targets of ghosts with various appearances including a groom with a pig's face and female teacher with a machine gun. 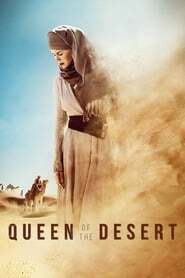 Queen of the Desert A chronicle of Gertrude Bell's life, a traveler, writer, archaeologist, explorer, cartographer, and political attaché for the British Empire at the dawn of the twentieth century. Freaks of Nature In the town of Dillford, humans, vampires and zombies were all living in peace - until the alien apocalypse arrived. Now three teenagers-one human, one vampire, and one zombie-have to team up to figure out how to get rid of the visitors. The Wolfpack Locked away from society in an apartment on the Lower East Side of Manhattan, the Angulo brothers learn about the outside world through the films that they watch. Nicknamed ‘The Wolfpack’, the brothers spend their childhood reenacting their favorite films using elaborate home-made props and costumes. Their world is shaken up when one of the brothers escapes and everything changes. Tales of Halloween Ten stories from horror's top directors. Ghosts, ghouls, monsters, and the devil delight in terrorizing unsuspecting residents of a suburban neighborhood on Halloween night. This creepy anthology combines classic Halloween tales with the stuff of nightmares. The Second Best Exotic Marigold Hotel As the Best Exotic Marigold Hotel has only a single remaining vacancy - posing a rooming predicament for two fresh arrivals - Sonny pursues his expansionist dream of opening a second hotel. Aloha A celebrated military contractor returns to the site of his greatest career triumphs and re-connects with a long-ago love while unexpectedly falling for the hard-charging Air Force watchdog assigned to him. Spooks: The Greater Good During a handover to the head of counter-terrorism of MI5, Harry Pearce, a terrorist escapes custody. When Harry disappears soon after, his protégé is tasked with finding out what happened as an impending attack on London looms, and eventually uncovers a deadly conspiracy. Anomalisa An inspirational speaker becomes reinvigorated after meeting a lively woman who shakes up his mundane existence. 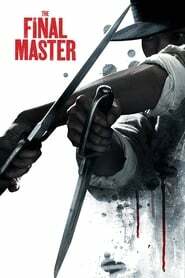 The Final Master Determined to pass down his art, the Final Master of Wing Chun is caught in a power struggle with malicious local officials and ultimately must choose between personal honor and his master’s dying wish. 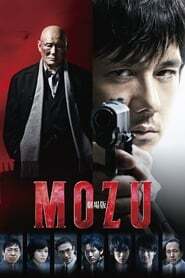 Mozu The Movie Lone wolf detective with an enormous personal grievance seeks to connect the mysterious death of his daughter to an urban legend of a villain who terrorizes Japan by insinuating himself into people's dreams and the collective psyche of the Japanese people. Hollywood Adventures A young man goes from China to Hollywood on short notice to find his girlfriend. He ends up connected with two others in his quest, which gets much more complicated than he envisioned. A Bigger Splash An American couple, Paul and Marianne, spend their vacation in Italy and experiences trouble when the wife invites a former lover and his teenage daughter to visit, which leads to jealousy and dangerous sexual scenarios. Our Little Sister A story that revolves around three sisters who live in their grandmother's home and the arrival of their 13-year-old half sister. 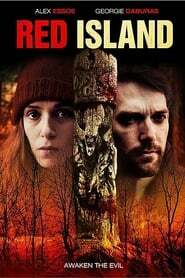 Red Island A distressed couple become stranded on an isolated island only to get hunted by an unforeseen force. Tomorrowland Bound by a shared destiny, a bright, optimistic teen bursting with scientific curiosity and a former boy-genius inventor jaded by disillusionment embark on a danger-filled mission to unearth the secrets of an enigmatic place somewhere in time and space that exists in their collective memory as "Tomorrowland." Kill Your Friends In the late 1990s, a drug-addled nihilist resorts to murder to climb the ladder of the London music industry. Daddy’s Home The story of a mild-mannered radio executive (Ferrell) who strives to become the best stepdad ever to his wife's two children, but complications ensue when their freewheeling, freeloading real father arrives, forcing stepdad to compete for the affection of the kids. The Treacherous The story of Joseon's tyrant king Yeonsan who exploits the populace for his own carnal pleasures, his seemingly loyal retainer who controls him and all court dealings, and a woman who seeks vengeance.